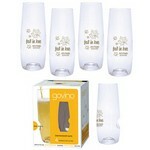 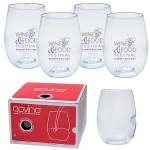 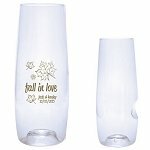 Govino Crystal Clear Shatterproof "Glasses"
Govino really means go anywhere you like. 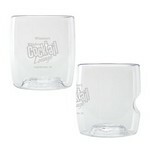 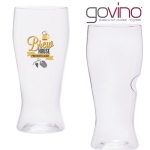 This revolutionary vessel designed for the ultimate enjoyment of fine wine or beer works well for any cold beverage. 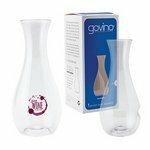 The unique ergonomic thumb-notch makes wine swirling and toasting most simple and best of all you can reuse them or even recycle them! 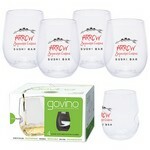 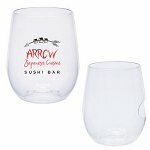 These Govino barware glasses for wine or beer are not actually glass. 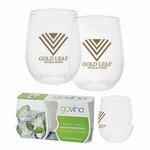 They are made from a food-safe, BPA- free polymer, which reflects the color of the beverage and projects its aromatics much like crystal. Very lightweight and flexible. 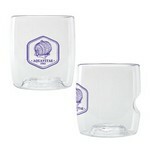 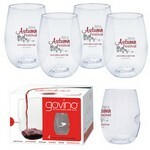 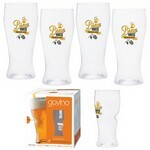 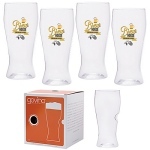 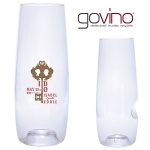 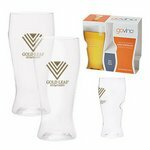 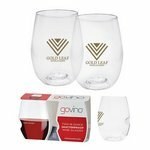 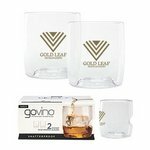 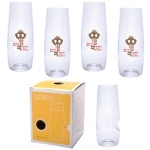 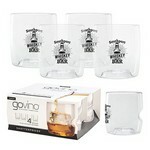 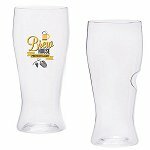 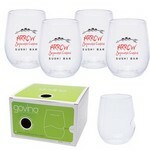 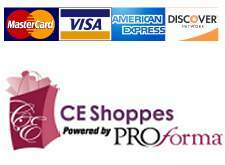 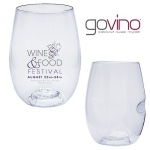 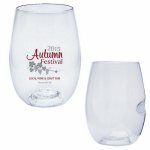 Co-brand one of these Govino wine, beer or champagne glasses with your logo.